Summer is over, it's time to get "Back in Black" with The Fashion Group International of San Diego, Inc's "Back in Black Networking Soiree". Enjoy cocktails, light bites, opportunity drawing prizes and networking with other San Diego fashion industry professionals. Dress in your best fashionably black outfit and bring lots of business cards. If you sign up for a Fashion Group International membership, the event is free (otherwise $20 in advance or $40 at the door). This gets you a drink ticket and appetizers! Buy your ticket or register here! 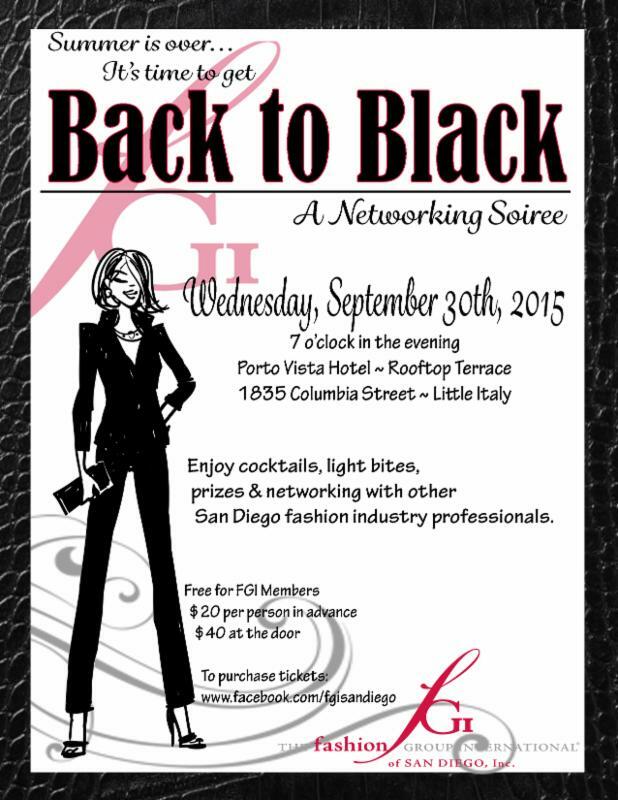 Contact FGI San Diego The Fashion Group International of San Diego, Inc.